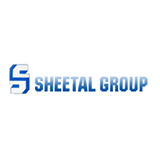 Sheetal Group is one of the leading real estate developers, engaged in the construction of Residential Apartments, Industrial Infrastructural and Land developments, Commercial Complexes, Shopping Arcades, Township Developments in and around Umbergaon. Established in 1986, the company today has to its credit several prestigious projects, which makes us one the leading Builders in Gujarat. We are a professionally managed group specializing in the real estate and Industrial Infrastructural and Land developments business. We have gained tremendous success in the fields like construction of Residential Apartments, Commercial Premises, Shopping Arcades, Industrial Land Development and we are also into other fields like Rotary Nickel Screen Manufacturing.